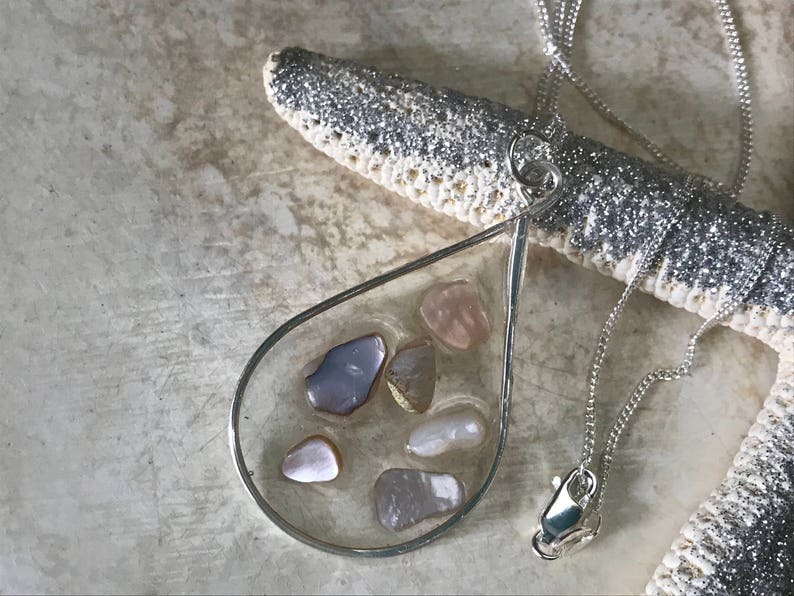 This lovely necklace is a teardrop pendant that contains tiny pieces of mother of pearl shells that are permanently sealed with clear resin. I love the clear look. The chain is a silver filled curb chain with a lobster claw clasp. Pick from 18", 20" or 24" chain.